What a brilliant idea! I swore I would never want a touch-screen phone, but now I do!!! AAAACCK this is the second blog I've seen today posting this. I'm kind of an elitist snob and refuse to own an apple product -go android!- but this has me seriously considering making the switch.. Unless of course these covers exist for my phone as well then in that case..
no pun intended, but I still crack myself up. Those covers are absolutely gorgeous! 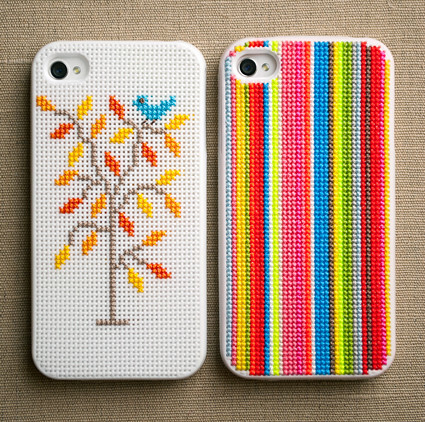 I wonder if my sons would like a needlepoint iPhone cover??? I think they're cute. 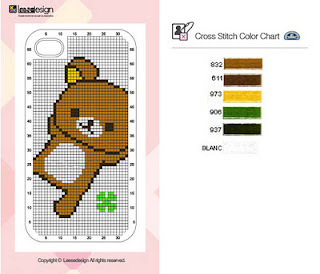 Gotta stitch one for my iphone too!!! Now i have to get me an iphone! Can these work on ipods? 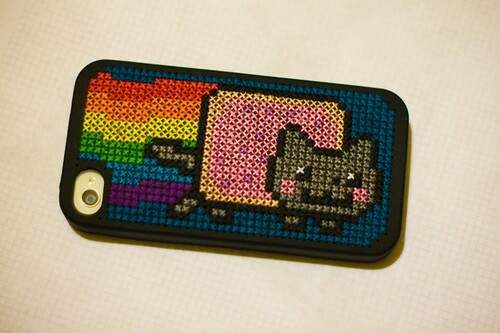 Nyan Cat is so freakin' Kawaii! I want that for my ipod!